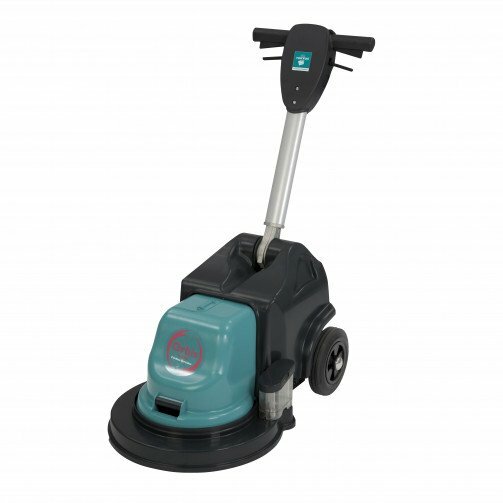 Battery powered, ultra high speed rotary burnisher designed for daytime cleaning, when customers, staff or patients are present. Burnishes at 1500rpm for highly polished floors. Ideal for retail, healthcare and educational premises. Up to two hours burnishing on a single battey charge. Integral charger with permanently attached cable that is convieniently stored away when the machine is in use. This machine comes complete with onboard charger, 2 x 12v 44ah batteries and drive disc. All leasing payments are 100% tax allowable. Every payment that your customer makes on a leasing agreement can be used to reduce their Corporation Tax bill. Leasing allows your customer to purchase equipment which they need, rather than the equipment they can afford. It is easy to justify the cost of the machine by breaking the payments down. In some cases you can show how many hours per week the machine needs to work before it will pay for itself.